Madison, along with others who had experienced the British government’s violation of the traditional rights of Englishmen in the years leading to America’s independence, looked to the lessons of human nature and history to determine how best to structure a competent government that would promote liberty. 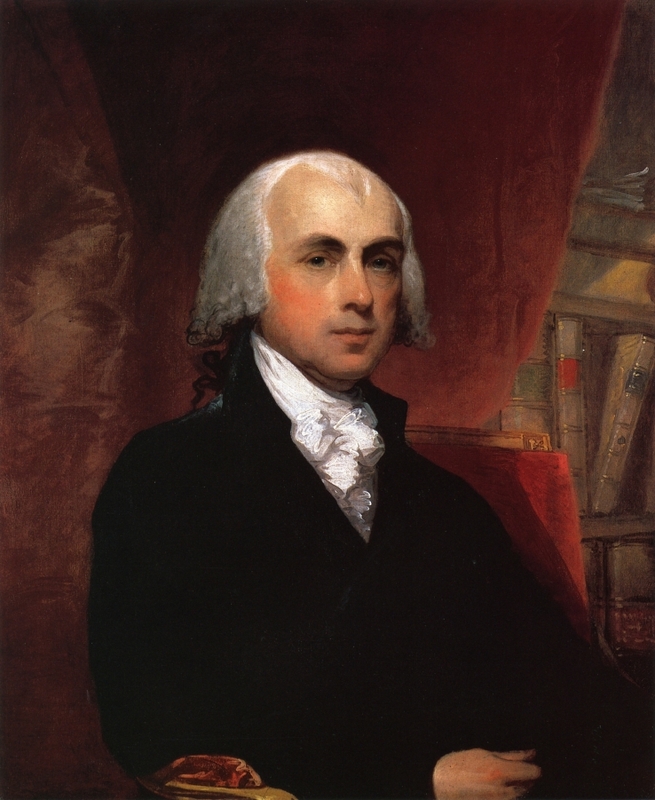 James Madison, along with others who had experienced the British government’s violation of the traditional rights of Englishmen in the years leading to America’s independence, looked to the lessons of human nature and history to determine how best to structure a competent government that would promote liberty. If you were asked to establish a new government for you and your neighbors, the rules you would make—and the amount of power you would give to future government officials—would probably depend on how much you trust people to behave well. The problem is that people are capable of doing many wonderful things, but history also shows that otherwise peaceful citizens can be persuaded to allow—or even join in—the use of government to abuse others. For example, after five centuries of British monarchs (mostly) recognizing such traditional rights as protection of property rights and trial by jury, the three King Georges in succession began to rule the colonies by fiat. The Declaration of Independence listed specific violations committed by King George III. Among other abuses, he dissolved colonial legislatures, depriving colonists of the right of representation.He made judges dependent on his will alone, leading to the corruption of justice.He deprived Americans of fair jury trials.He stationed standing armies in the colonies in times of peace and required colonists to provide room and board for them.He imposed taxes without representation.He cut off their trade with foreign countries.The majority in Parliament approved these policies. Seeking to offset the debt accumulated during the French and Indian War, Parliament passed a number of measures which the colonies viewed as blatant violations of traditional liberties of Englishmen.In his 1776 pamphlet, Common Sense, the British revolutionary Thomas Paine wrote, “We have it in our power to begin the world over again.” The time had come to cut ties with the mother country and become free and independent states. How to design a system that would “first enable the government to control the governed; and in the next place oblige it to control itself” was the challenge the American Founders faced. The prevailing view through times past had been that powerful rulers of noble upbringing were needed to keep people from falling back into the tribal warfare that stains much of human history. They believed not only that kings were fit to rule people, but also that God himself gave monarchs that authority—a concept known as “divine right of kings.”The reasoning was that God could have given anybody the right to rule, and He selected the specific people who should govern others. The American Founders—and the American people generally—did not trust a king. They had seen kings behave like spoiled children, destroying businesses they disliked and imprisoning people without just cause. The world was changing, with new inventions making it possible for more and more people to work their way out of poverty. People needed not only to be free from fear of what kings might do to them, but to engage in commerce. The Founders believed that liberty was essential to human progress, and that we all have inherent rights to make decisions about ourselves and our property—rights that not even a king has the authority to take away. As John Locke explained in his Second Treatise of Civil Government, the only legitimate government was one to which the people had given consent. The people themselves have a voice, and need not simply submit to rulers who violate their liberties. 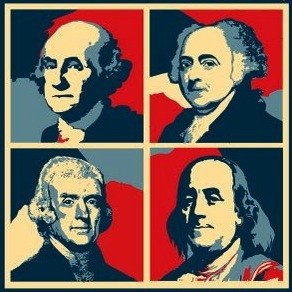 If there were no king, could the Founders settle on a pure democracy, in which the majority gets whatever it wants? The Founders rejected this solution, too. They believed history proved that democratic majorities often end up behaving like tyrants—abusing minorities, starting wars, and running up huge debts. As children they had learned about persuaders like the Greek orator and general Alcibiades, who enticed Athenians to wage a disastrous war with Sparta, and Gaius Flaminius Nepos, who violated the Roman constitution to win popularity with the masses. The tyranny of the majority, expressed through corrupt politicians, can happen anywhere, anytime. History, the Founders believed, showed how otherwise decent people can be swayed by emotion, selfish impulses, and corrupt leaders to do terrible things to one another. The Founders worried that a democracy would become just another version of tyranny. The point of government, as the Founders saw it, was to enable a people to live without fear of having their persons or property violated, to cooperate to govern themselves peacefully, and to repel foreign threats. Without government, the powerful would rule, and nobody’s rights would be secure. 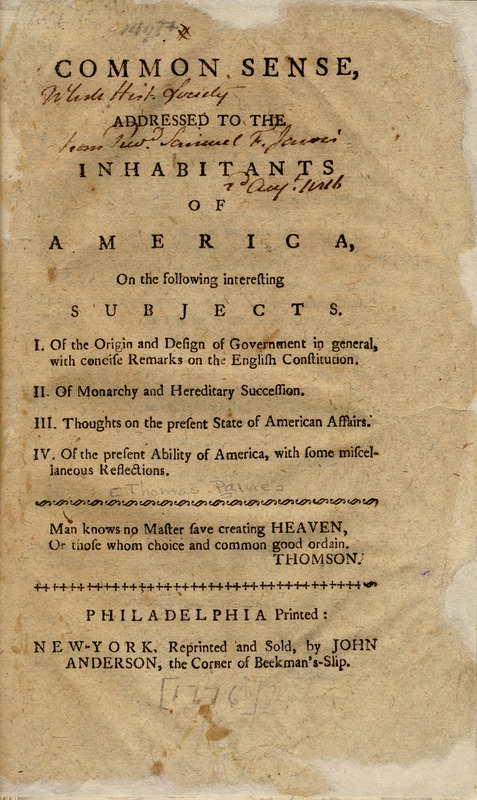 Philosophers like John Locke, who strongly influenced the Founders, argued that citizens form for themselves a “social contract” in which they sacrifice a small amount of their natural freedom to a government whose protection makes them more free to live their lives than would otherwise be possible. When government repeatedly violates this contract by taking more freedom than is necessary—and especially when it violates the rights that it was created to protect—the Founders believed that people have a right and duty to abolish and replace it with something better.That is precisely what they did when they declared independence from Great Britain. The Founders knew that legitimate governing authority must be just.This did not mean that everybody gets an equal share of everything, but that everyone has the right to be treated equally and fairly by their government. While earlier generations defined nations by the power it takes to rule, the Founders were thinking about a nation of citizens, born with inalienable rights, who should only be governed by virtuous representatives accountable to the people. Earlier philosophers believed ruling authority came from an aristocracy, a military power, or from God. The Founders believed legitimate ruling authority only comes from the citizens themselves. 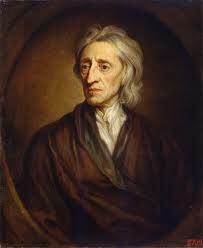 Philosophers like John Locke, who strongly influenced the Founders, argued that citizens form for themselves a “social contract” in which they sacrifice a small amount of their natural freedom to a government whose protection makes them more free to live their lives than would otherwise be possible. But the Founders faced a dilemma: How to give people the power to control their government while also denying to them the power to use government to violate the rights of others. People, even though they frequently live and work alongside one another in harmony, can behave selfishly. It is human nature to pursue what we believe will make us wealthy, powerful, or popular—even to the point of harming others. The Founders’ challenge, as they built on their experience with a national government under the Articles of Confederation, which many considered too weak, was to establish a government that was not so powerful that people could use it to pursue their own interests at the expense of other people's rights. As a result, they settled on what is called a constitutional republic. It was an ingenious solution. Our Constitution’s authors sought to leverage for the common good people's natural inclinations toward ambition and self-interest. That is why they divided our government’s power between executive, legislative, and judicial branches. It is also why they split Congress into two bodies. They gave members of the House of Representatives smaller districts and shorter terms so they would keep the desires of their constituents first and foremost. But they balanced this more democratic body with Senators who represent entire states, for longer terms, with the expectation that they would therefore have the freedom to make decisions that they considered right even when they were not popular. The Founders gave this Congress the power to make laws, but gave the power of administering those laws to the president and the executive branch. Separate from these was the Supreme Court, its members appointed by the president but with the Senate’s approval. In addition to splitting government power among three branches, the Founders also guarded against a concentration of power by dividing governing authority geographically.The national or central government would have carefully enumerated and limited powers, and all other functions that the people wanted their government to have would be left to state and local decision-making. The significance of state authority is reflected in the manner by which the Constitution was ratified. It did not take effect until approved by nine of the thirteen states through conventions called specifically for that purpose. The Constitution was engineered so that the competing ambitions of government officials—as well as the competing ambitions of different branches and levels of government—would work to form a system of checks and balances. It was an ingenious solution. Our Constitution’s authors sought to leverage for the common good people's natural inclinations toward ambition and self-interest. If all government power rested with just a few people, these few might begin to abuse other's rights. But because the Constitution spreads government power among many people, and sets up those powers so that they are “checks” on one another, natural self-interest works in favor of "We, the people." In this way, ambition—properly exercised—becomes a useful tool for the preservation of rights. Equally important with these checks and balances, however, is the principle expressed in the Preamble of the Constitution itself. “We the People…do ordain and establish this Constitution for the United States of America.” The Founders knew that all legitimate government authority comes from the citizens. That is why the Constitution is written as a narrow list of government powers. The first eight amendments, meanwhile, make especially clear the kinds of things the federal government is not allowed to do. The Ninth and Tenth Amendments emphasize that rights and powers not listed remain with the states and people. The Founders tried to design a government that would protect citizens from tyrants and from the tyranny of unrestrained democracy, but they knew that a clever design would never be enough. They counted on citizens to embrace virtues like honesty, respect, humility, and personal responsibility. The American republic was designed to encourage and depend on those citizen virtues. They also counted on people to be tolerant of one another’s differences and to act justly, standing up to attempts to violate people's liberty or their right to their own property. Even though the Founders designed a government that harnesses human self-interest to check itself, they knew that freedom will always depend, ultimately, on the willingness of citizens to defend it. While the Founders expected government officials to keep an eye on one another, they knew it was even more important for citizens to keep an eye on government and to vote for capable and trustworthy officers.It is our responsibility to exercise vigilance and to refuse power to anyone who behaves as if the Constitution is not the law of the land. Effective government requires that the governed choose well. Finally, the Founders expected citizens to be educated, to understand why freedom is important, and to have the wisdom to recognize when laws or ideas that sound good at first might cause long-term harm. John Adams noted that wisdom, knowledge, and virtue are essential to preserving freedom. Each generation must help cultivate these qualities in the next.